Writing in the journal Nature, the scientists say that researchers can now begin to examine the similarities and differences between the apes. 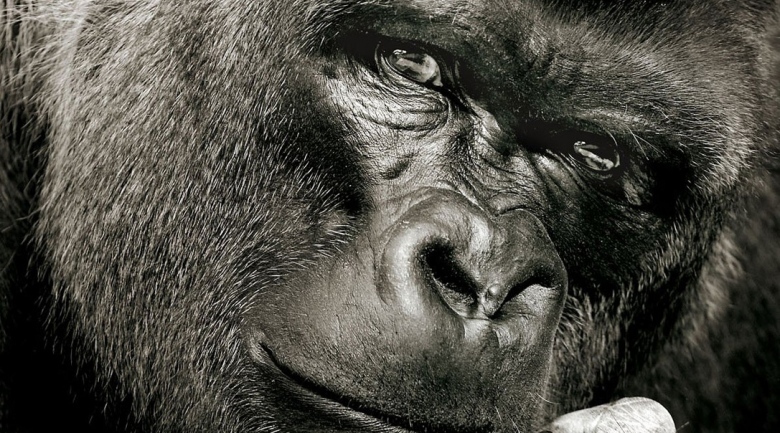 Genome sequences of humans, chimpanzees and orangutans are already published. The team hopes their work will help to uncover genetic mutations that led to language, culture and science. "I’d like to think that in the next 20 or 30 years we will get a deeper understanding of what happened genetically in our evolutionary history, and of how those genes affect the brain and other properties that make us modern humans," said Richard Durbin of the Wellcome Trust Sanger Institute, who led the study. Initial comparisons confirm that chimpanzees are our closest relatives, sharing 99% of our DNA. Gorillas come a close second with 98%, and orangutans third with a 97% share. That reflects the evolutionary history of apes. Genome comparison indicates that the human lineage separated from orangutans 14 million years ago, gorillas 10 million years ago, and chimps 6 million years ago. Although on average we are closest to chimps, many of our individual genes are more like those of gorillas. Among them is a gene that enables us and gorillas to hear better than other apes. Until now, some scientists had thought that the development of hearing was what enabled us to develop language – but as a result of this research, we now know this theory is wrong. Fifteen percent of the human genome is closer to the gorilla than the chimpanzee, and 15% of the chimpanzee genome is closer to the gorilla than to humans. One genetic difference that will be of interest to medical researchers is a mutation that results in dementia in humans, but seems to leave gorillas completely unaffected.